If you are serious about taking the next step with your company or your career, get in touch today and start the conversation! WHICH PEER GROUP BEST SUPPORTS YOU? An intimate forum of 8-12 executives in multinational and Fortune 500 companies to discuss emerging issues, share best practices and collaborate on success strategies. Learn from and share insights with the people who understand your challenges best. Exchange ideas and get feedback in an open-minded forum while growing your network of resources and becoming a more effective leader. Great leaders are always looking ahead, and navigating the sustainability landscape is no exception. Your goal is to grow your business while respecting the triple bottom line- people, planet and profit - and you want to exchange ideas with other sustainability leaders. 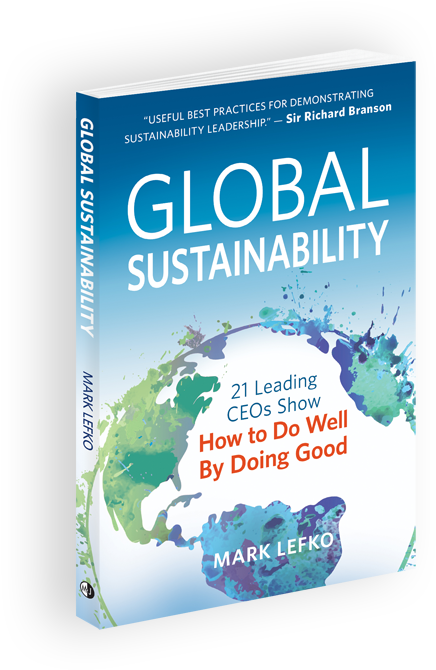 Mark is recognized for authoring the book Global Sustainability and implementing sustainability leadership strategies as a business practice. You've had a successful business career. Now aged 55+ you've begun considering issues like your legacy, health, wealth transfer, and what's next in your professional life. Change is inevitable. Have real conversations with respected, trusted peers about how to stay relevant, re-energized and inspired outside of your business identity. WANT TO JOIN A GROUP? LET'S CONNECT! With C-suite experience in multiple industries, Mark brings the personal integrity and honesty you would expect from someone who has provided counsel to CEOs in the very best organizations. Keynote topics range from sustainability and leadership to unlocking the power of your team. Mark's prevailing message of "do well while doing good" is always commercially valuable. Ready to find out how Mark can help you succeed? You deserve assistance from a pro who makes a real difference, not just talks about it.